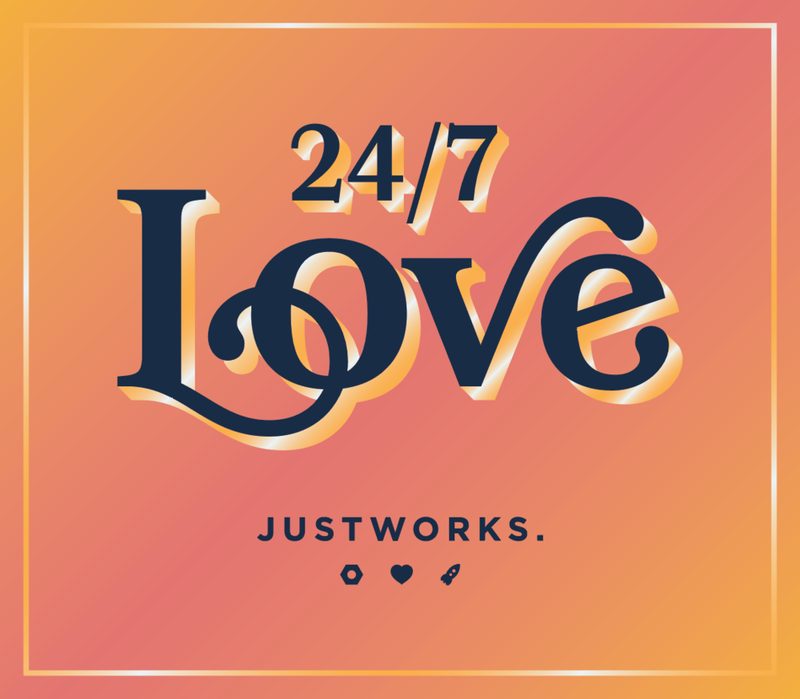 I worked closely with Justworks' Diversity and Inclusion team to come up with the theme 24/7 Love - a nod to the recently launched 24/7 Support campaign. I began the project by creating a series of moodboards to depict a number of potential design directions. 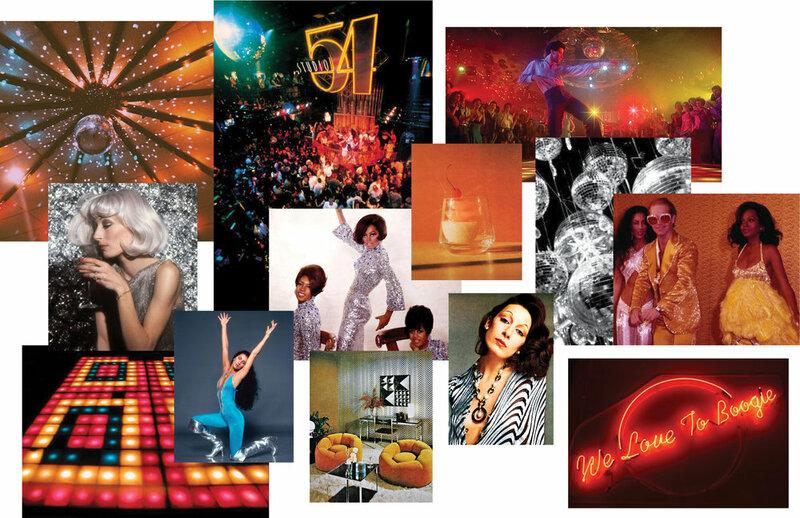 70s Disco-Glam won by a landslide. Next, I used typography to illustrate the 70s Disco theme. My goal was to capture the spirit of the NYC Pride Parade and reference New York disco's place in the LGBTQ Movement. After selecting a logo, a series of color explorations brought the 24/7 Love campaign to life. The Pride Parade took place on a hot June day. The Justworks team wore 24/7 Love T-shirts and flew 24/7 Love banners on their company float, dancing through the West Village streets to celebrate diversity and inclusion with the rest of New York City.